In the centre, on the table of the main altar (made in 1894 based on a previous design by Turinese engineer Cesare Fantazzini), can be seen five tempera-painted panels, arranged horizontally. 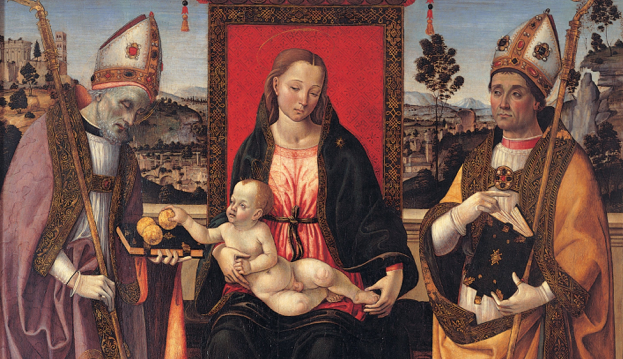 These pictures, which in the 19th century were located on a wall of the side altar of the Madonna of Graces, and in the following century were mounted in a single cross-shaped frame visible in the apse, were part of the predella of a prized polyptych which for a long time has been on display at the Galleria Sabauda in Turin. This polyptych seems to have originally been executed by the Asti artist Gandolfino da Roreto (documented from 1493 to 1518) in 1493 for Alba’s abbey of San Francesco d’Assisi, demolished in 1814. 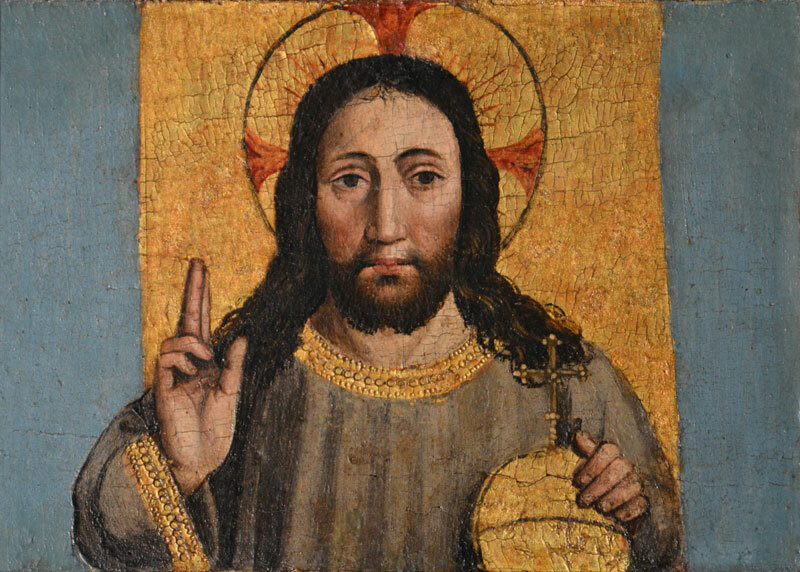 The recomposed panels show Jesus Christ and the Apostles, in a style that recalls the Ligurian-Provençal tradition. 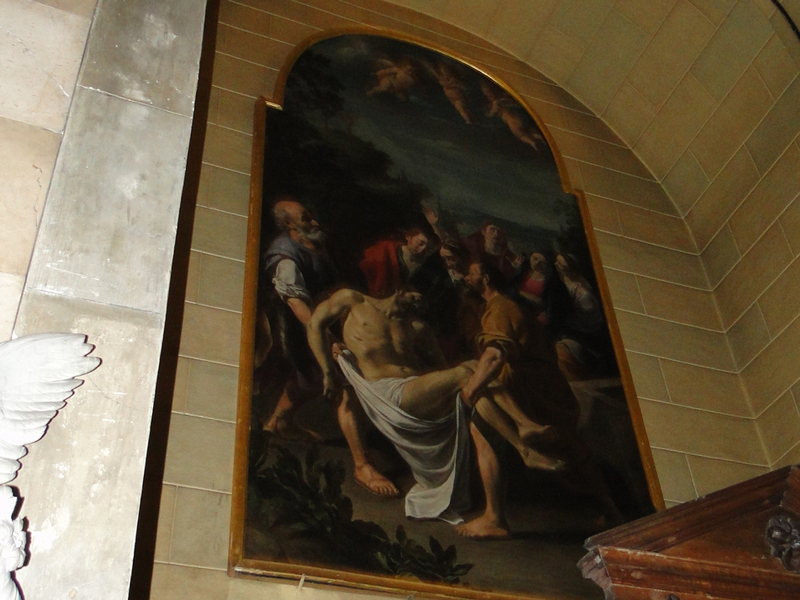 In the middle of the back wall, above the choir, is the large altarpiece (oil on canvas) showing the Baptism of Jesus Christ. It seems as though in the 19th century it was included and adapted into a larger, composite, arched frame, similar to an ancona, protruding significantly (from the demolished Alba church of San Francesco d’Assisi). 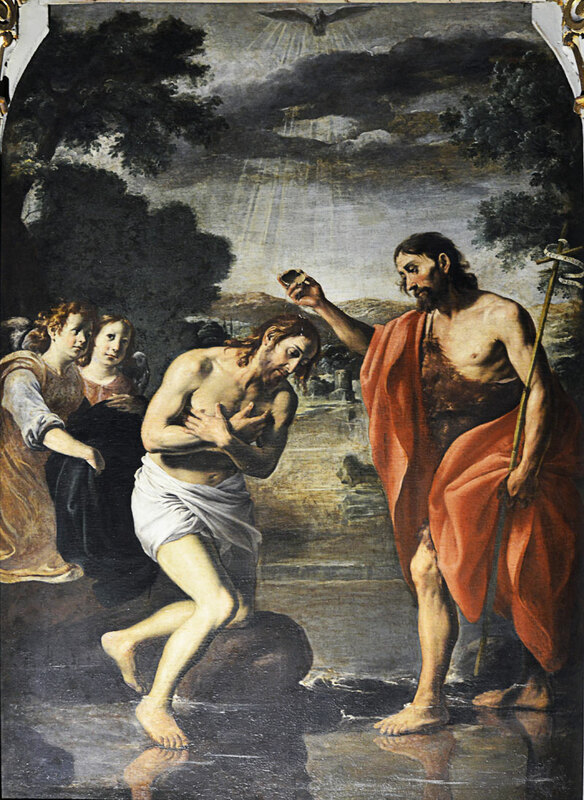 This important work was painted by the Savigliano artist Giovanni Antonio Molineri (1577-1631) for this parish in the third decade of the 17th century, commissioned by the Augustinians. The scene is captured with a simple, strong naturalness, though with clear post-Caravaggesque touches. High up on the back wall of the church can be seen the triptych mural painted in 1887 by Paolo Gaidano (1861-1916), a Poirino native who was active in Turin. Using a traditional style, he has skilfully depicted the Madonna with Child, Saint Teresa of Avila, Saint Francis of Assisi and, to the sides, two cherubs. On the wall to the left hangs the 16th-century painting which in this church was originally positioned on the side altar table of Saint Lucy and Saint Nicolò (located where the baptismal font currently is). 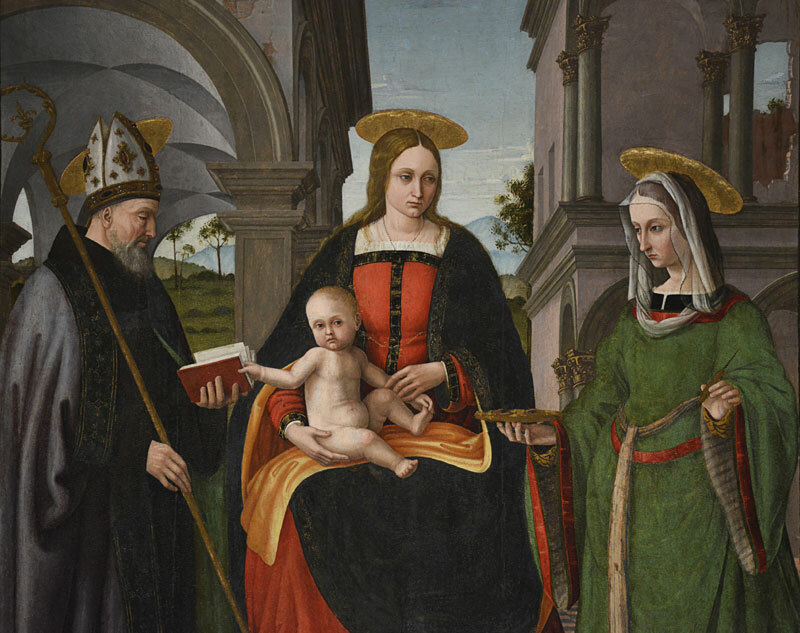 It shows the Madonna with Child, Saint Augustine (or Saint Nicholas the bishop?) and Saint Lucy the martyr against a background of classical buildings. The provenance is not clear; it comes either from the Augustinian abbey of S. Maria della Consolazione in Alba (abandoned by the monks in 1556) or from Alba’s S. Nicolao church, which no longer exists. The painting is datable to the first quarter of the 16th century. 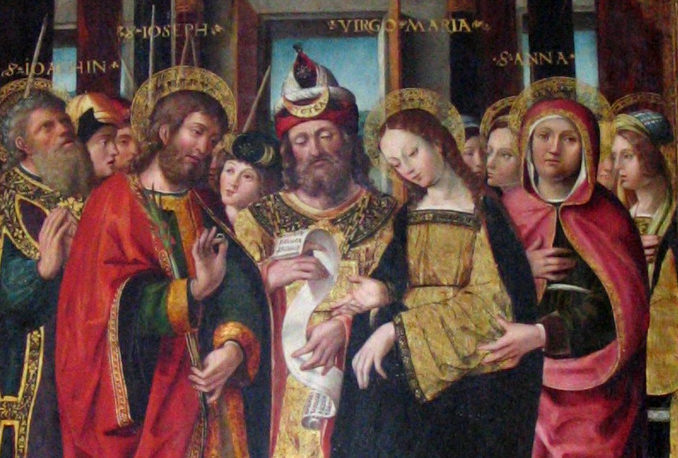 The unknown artist was probably from the circle of Macrino d’Alba, and was perhaps also responsible for the altarpiece “della Consorzia”, formerly in the cathedral and now in the town hall.